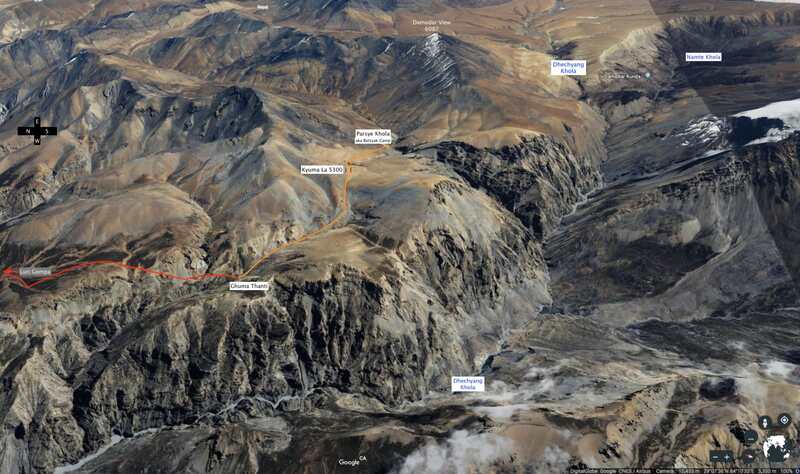 time: 7:15 – 11:00 a.m.
Maps: Himalayan Map House Upper Mustang Trek Map. 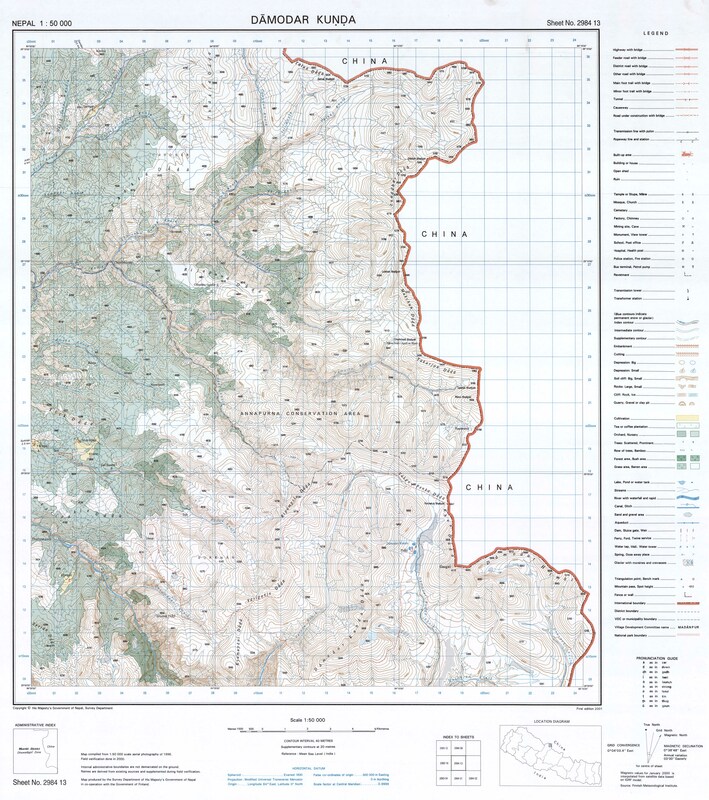 See here for info on hardcopy maps from Himalayan Map House. Every once in a while during the night, I’d think – “Gotta get up early tomorrow in case the helicopter comes in…” As for the acclimatization issue, in spite of my concern, all systems were “Go”. Not even a mild headache! The helicopter never did come in until after we had left the site shortly after 7. 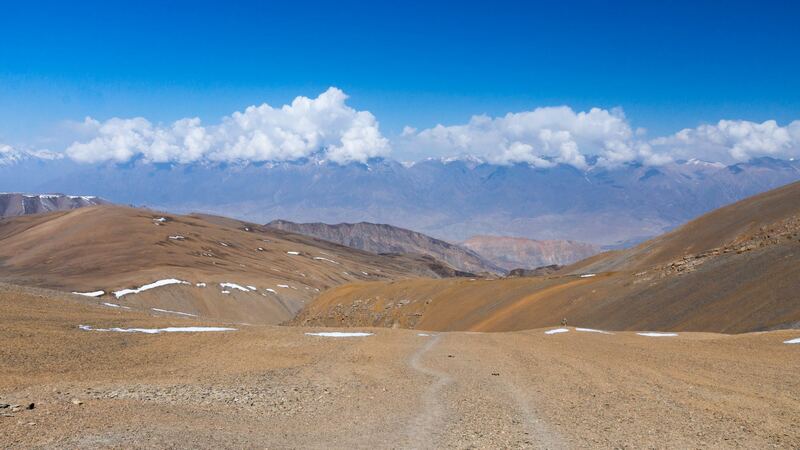 The two images below show the first bit of snow of the trek that we got to crunch our boots in. It made for a nice change from bits and pieces of mountain rubble! 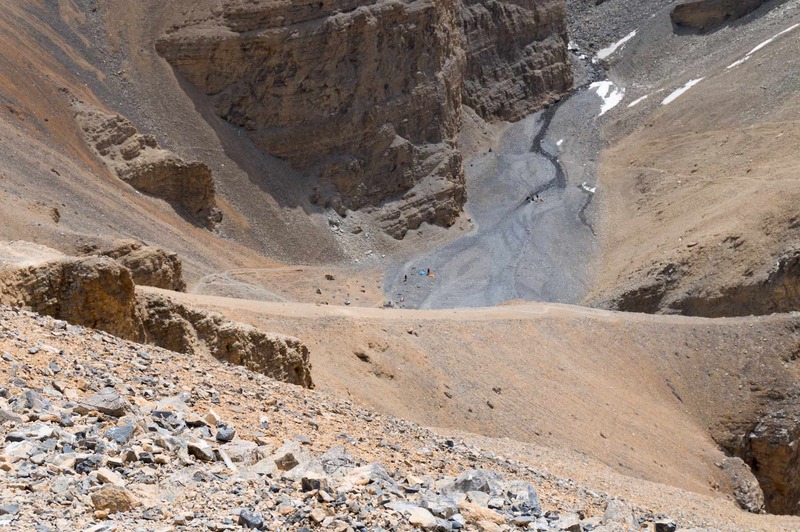 The shot below is probably of the 5300-meter pass we walked across. Like the pass the day before, it was a non-event! We had come up to it gradually and I don’t recall a cairn or marker of any sort to indicate that it was somehow a special spot. We were there around 9:30, a bit more than two hours into the day’s walk. 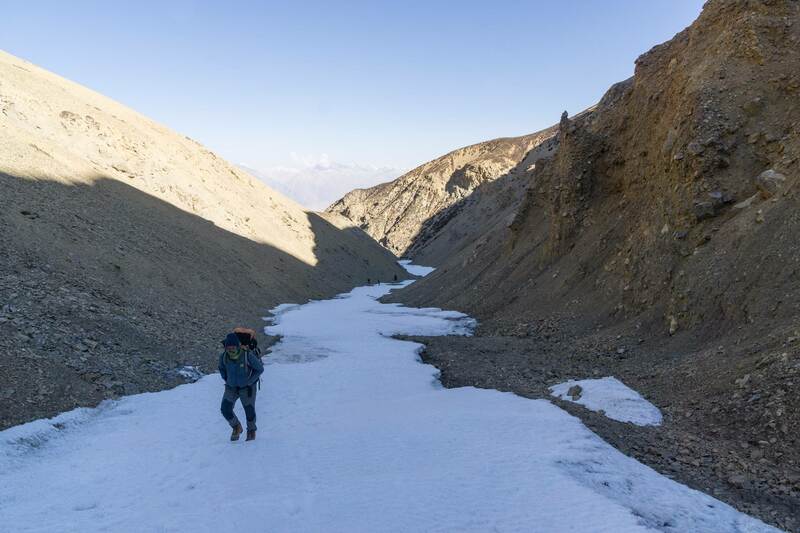 The trail crosses a plateau on the way to Batsyak Khola. 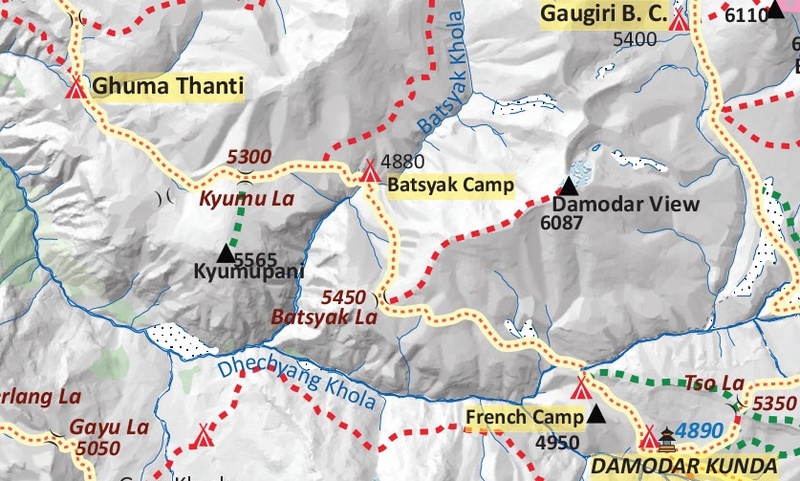 some easy walking on Day 9 – the trail to Parsye Khola. A half-hour later – shortly after ten a.m. – and there was our next campsite! Looking down to the dry river bed I could see members of the cook team getting water! The downhill trail to get to the camp was quite steep even with the switchbacks. By 11:00 a.m. we were down on the bottom. 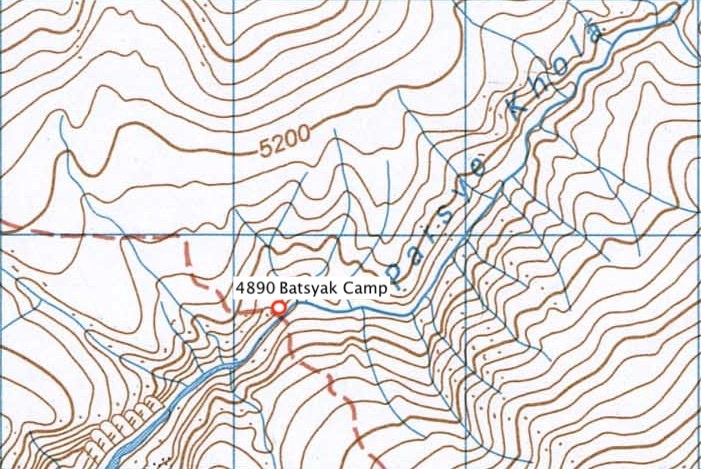 This campsite lacks the shelters that Ghuma Thanti has. The somewhat dilapidated corrugated tin shack you see in the photo below is all that is there. Our cook team and porters took it over. We had an entire afternoon to explore the surroundings. 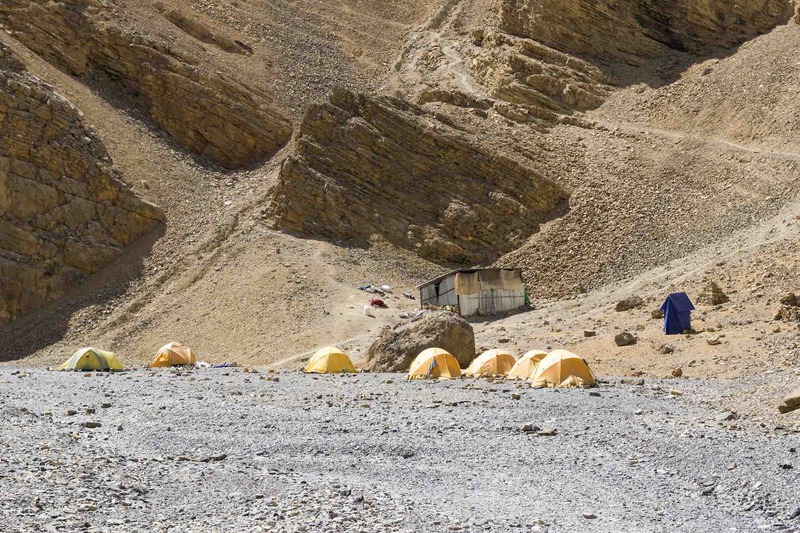 A few of us walked up the river bed, checking out the beginnings of the next day’s trail to Damodar Kunda. 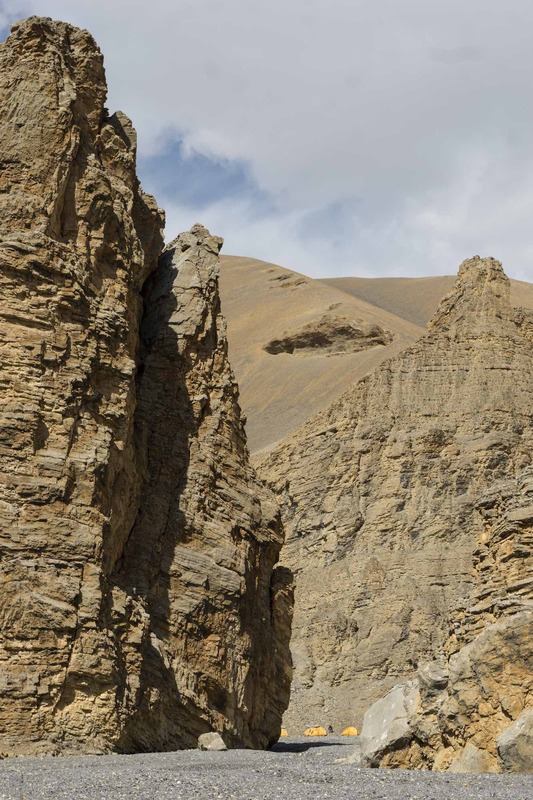 We also walked downriver for a kilometer or so to the point where a big chunk of crumbling sandstone has broken off the mountain on one side and blocked the river’s passage. 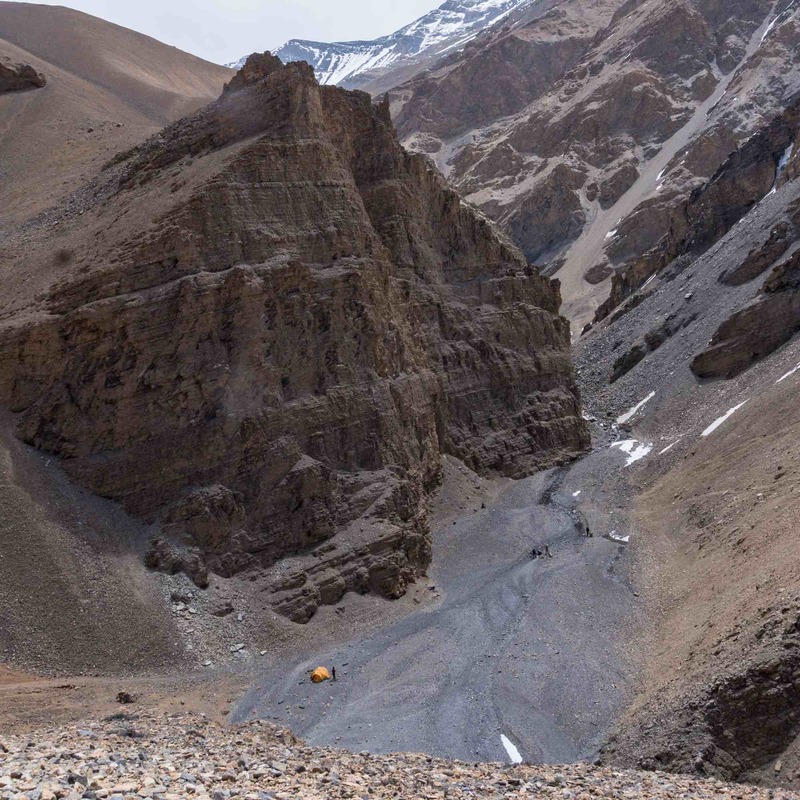 It had been another great day on the trail with more fantastic views of a sixty million plus years old ocean floor thrust 4000 to 5000 meters into the sky thanks to the India plate smashing into the Asia plate. 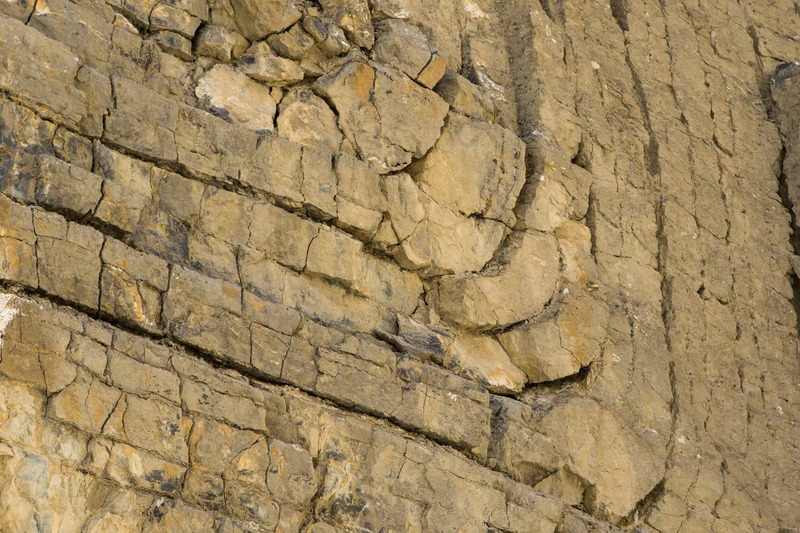 It is amazing to think that acceptance of plate tectonics only occurred in the past fifty years – i.e. within my lifetime! 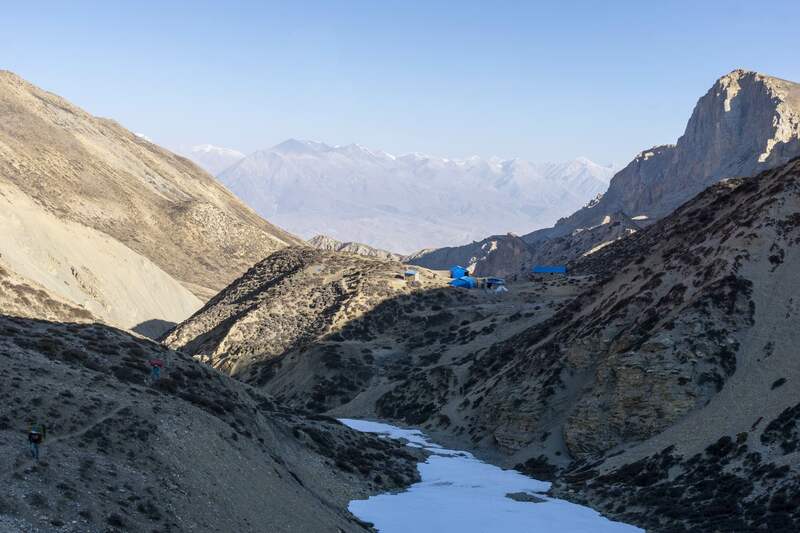 The weather continued to be excellent too – warm, sunny days with little wind and at night temperatures that hovered around freezing and a couple of degrees warmer in the tent. No frozen pee bottle in the morning – yet! This entry was posted in hiking/trekking, Nepal. Bookmark the permalink.